Marian Morgan took up the practice of Zen with Robert Aitken Roshi in Honolulu, Hawaii in 1975 and studied with him for 30 years. 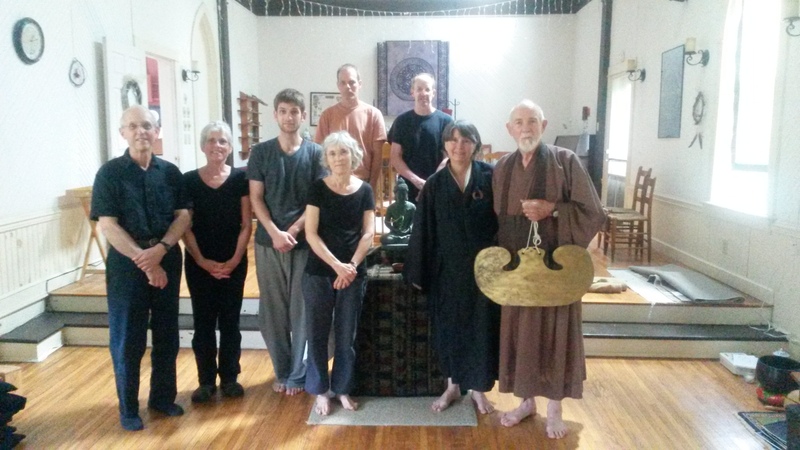 In 1999 Aitken Roshi invited her to join the Diamond Sangha Teachers Circle and guide others in Zen practice. Marian’s interest in Buddhism was sparked in childhood during four years living in Sri Lanka and Indonesia. She later studied Southeast Asian history and international public health at the Universities of Wisconsin and Hawaii, and worked in public health in Cameroon and Guyana. After earning a doctorate in clinical psychology, she worked professionally with Afghani, Bhutanese, Burmese, Iraqi, and other refugees resettled in Charlottesville, Virginia. She has served as a Zen teacher for Clear Spring Sangha of Charlottesville, VA, and the Zen Group of Reading, PA for more than ten years. 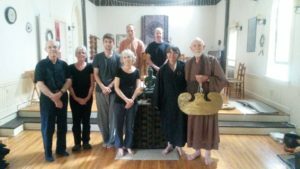 Although she now lives in London with her husband Edward, Marian carries on weekly dokufone via Skype, and travels to the US at least twice a year to hold sesshin and to sit with the Reading and Charlottesville sanghas.